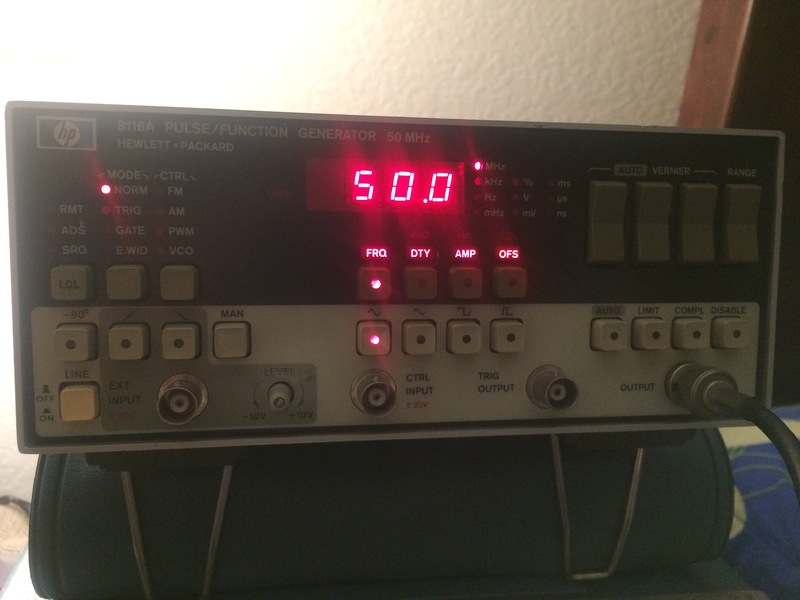 50Mhz Function Generator. 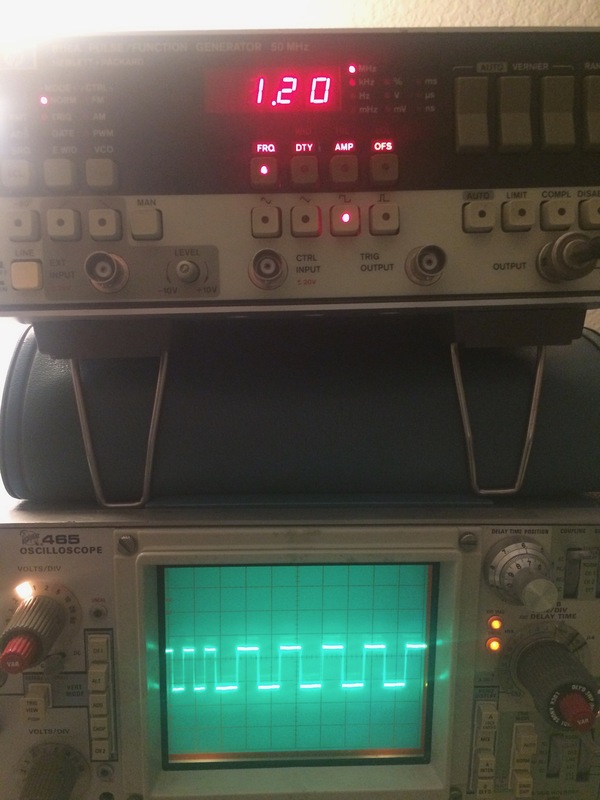 Sine/Square/SawTooth, and VCO/AM/FM/PWM. I can also generate Pulses down to nano second width. Got this vintage beauty off another gamble. Someone who had no idea what this was selling it off. The only status I got about the condition of this was it says “E31” While powering up. I took the chance and grabbed it. My love for HP goes all the way back to HP9000 days, on D-class and E-class and K-Class and Nova Mini Servers with PA RISC and HP-UX. 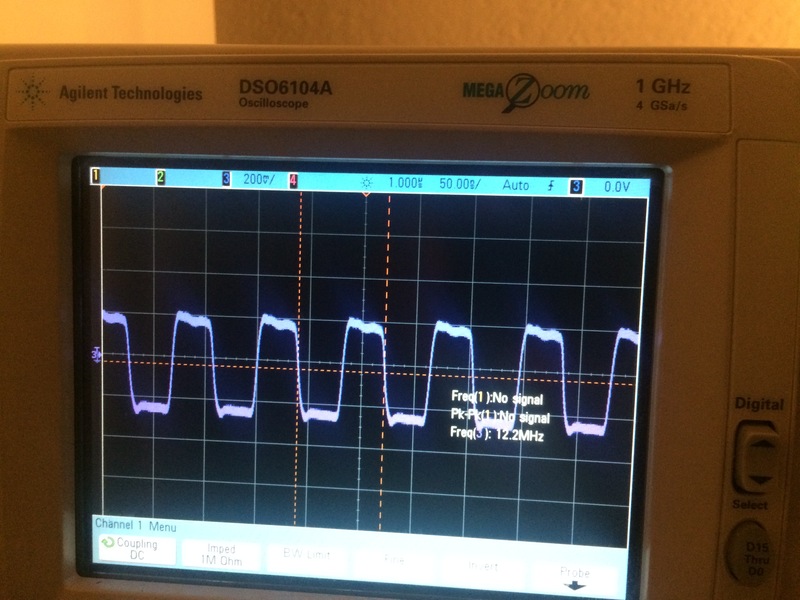 I was more worried about it really generating any signal. These units are notorious for failure of ICs and main concern is on the 3 custom HP Chips inside, which does most of the critical functions. 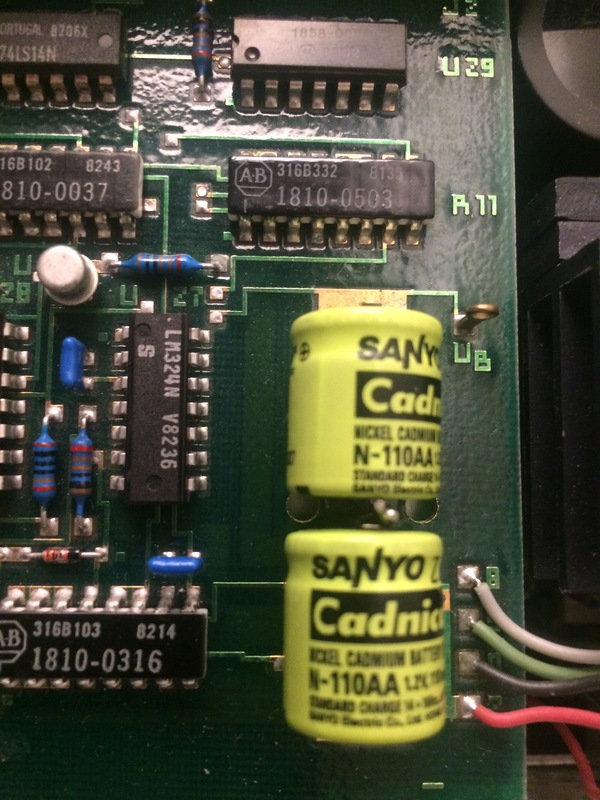 If its one of them – either the VCO or the Slop which is at fault, I am dead. The chips are not really available or very expensive on ebay. Took it home, Powered up, as expected E31. 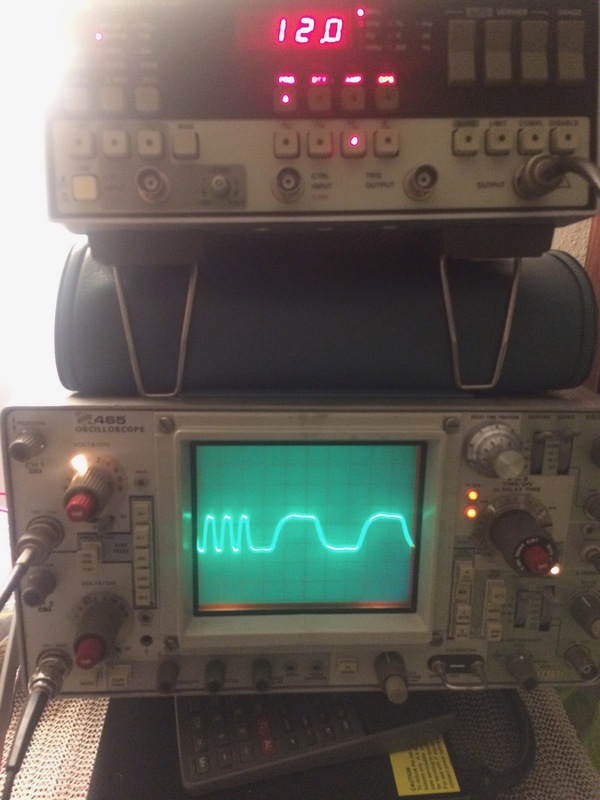 Connected my Scope and switched on the Output, Wow..It does Generate output. I could generate 52Mhz Signal out of it. Square and sawtooth was a bit malformed , mostly because my signal termination was not good. I am glad, relieved, its working. its the same one I have fixed few weeks ago. But as expected Pulse/PWM is dead. None of pulse function works. 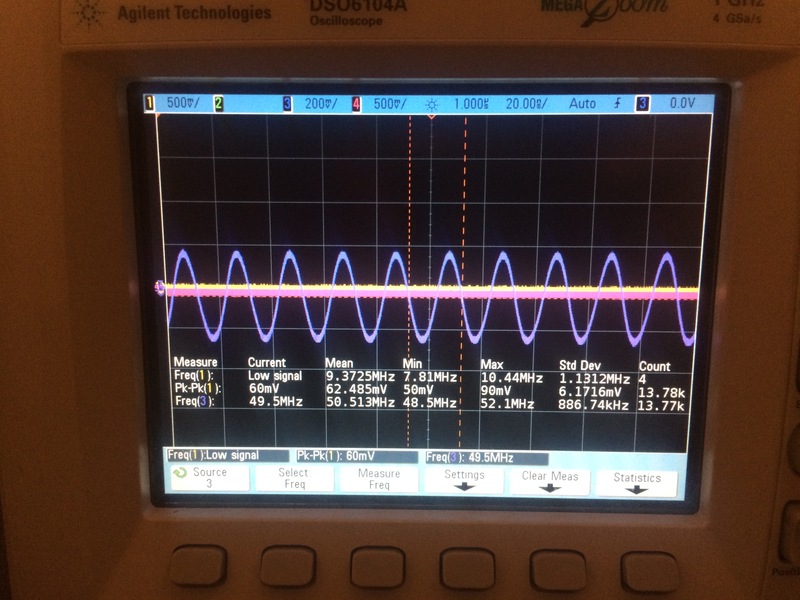 PWM or Pulse Generator. I knew this before I got it, so was not worried. Lets see what E31 means and how to fix it. The Timing IC U300 is unable to generate pulses of 5 ms and 25 ms. Refer to Chapter 10.3 and Chapter 10.5. Okay, lets open it up. NOTE: Like any these instruments come with different Rev of board/Schematic and component variations. Make sure you read the service manual carefully, verify the serial no and also check with the service manual updates at the end of the document to see what is the real design applicable to your unit. Its not just about components, its also about voltages. Be Careful and do spend your time reading through the service manual before you adjust/troubleshoot anything. 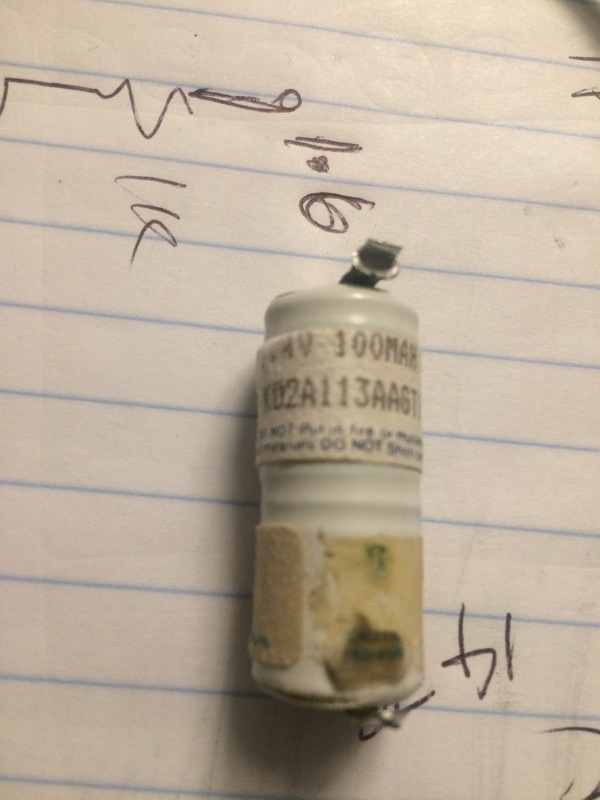 First issue – Leaking Battery. Ni-CD.2.4v 100mAH. HP Specs points to very expensive stuff, but basically its 2X Ni-Cd cells. Again later units had Li-Ion. These are used to store last known settings of the panel in memory, eg. last used frequency, etc. so that when you power it on again, you get to start from the settings you left it at. Nothing really important, but a leaking battery can ruin the PCB. Plus its a pain. I noticed my unit was not storing the last known values as the battery was dead. 25+ years in service. Cant expect more. Task 1. Order new battery. I picked it up from HSC. 1.5$ NiCd X 2. Connected in series to get 2.4V. Charged it before soldering to the board using regular Power supply (Constant Current @ 1/10 of mAH for max voltage of 2.9V), took about 10 hours to fully charge. There is a charging circuit on board on the rev with NiCd Cells, which takes care of charging these guys while we use the instrument. Replaced. Nothing really connected to fixing the E31, but general housekeeping. Here it is after replacing. I could see the settings being preserved now. Cleaned the PCB too. and I verified its all good. Then I saw, inside the Top Cover/case, they have printed few adjustments, and there you go, its not -24V, is -23 on this Rev. !!!. Well..they did document the change in the manual (end of the service manual). So someone was inside this unit without reading the service manual completely (like me) . I re-adjusted the voltage to -23. One more issue resolved. Now heading towards E31, hoping I will not find more surprises. If you trace the circuit through the service manual you can check the signals at various levels. Nothing fancy in there just follow the service manual using common sense. So I am not repeating those steps here. Key point to notice – U152 is the analog switch, which changes the current source to U300 (Custom HP IC) to generate various pulse widths. Check this guy specifically to confirm the other stages are working, as you can see the input voltage (current really) to U300 switching based on the control panel. I love the MC14052 honestly, very interesting chip. I always wanted to design something using such a switch, never happened. Line 28 – to Diagram 1E is the control line to Pulse Width. If you have a precision bench meter, you can observe the voltage changes over here, depending on the pulse width setting on the Front panel. So I did check all and found everything else is working as expected. 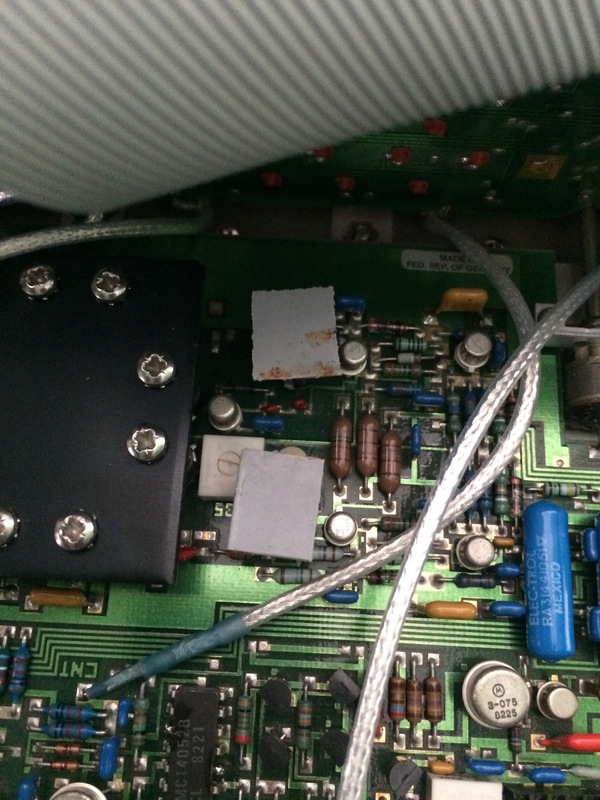 Now there is only one culprit, the bad luck – U300 Custom Chip !!. Because rest all are working as expected, I see all proper input signals, ONLY U300 output is blank. Though not specified in the service manual, I started suspecting U300. The big challenge starts now, how to source it. Custom, Vintage, HP Chip ! As usual, ebay was of help, some one in San Jose put in on sale, I got it for 30$ as I was local, and quick ship, and here it is. Same day evening, after work, I installed the chip, and WOW !! !..E31 is gone. It was U300. 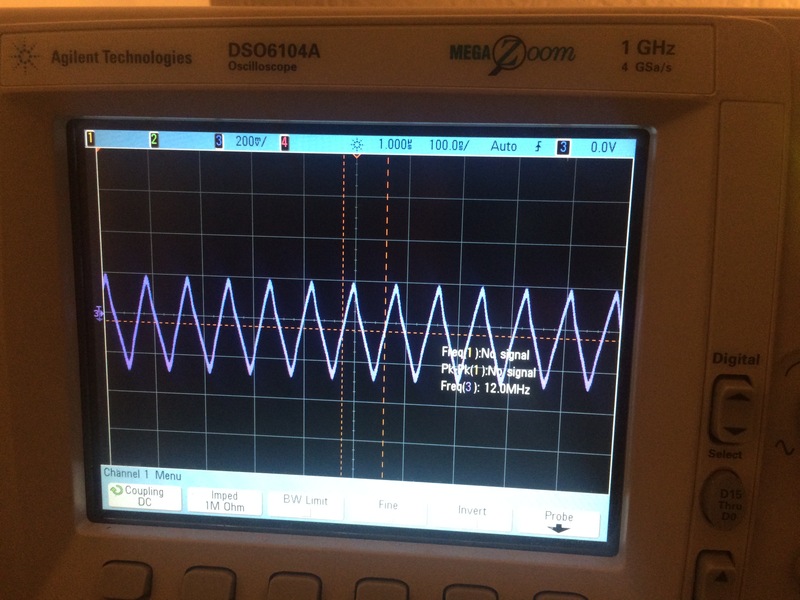 Function generator is fully FUNCTIONAL !! No errors during boot up. Checked all Pulse levels, working perfect, I am able to generate and adjust pulse width from few nS upwards, works perfectly !! . Now, I kept it on for a while to warm up to see if all looks good or any other issues pop up. There is one known issue with these units, the custom chips and few transistors really run ..warm..nope..HOT…nope..just MELTING HOT.. 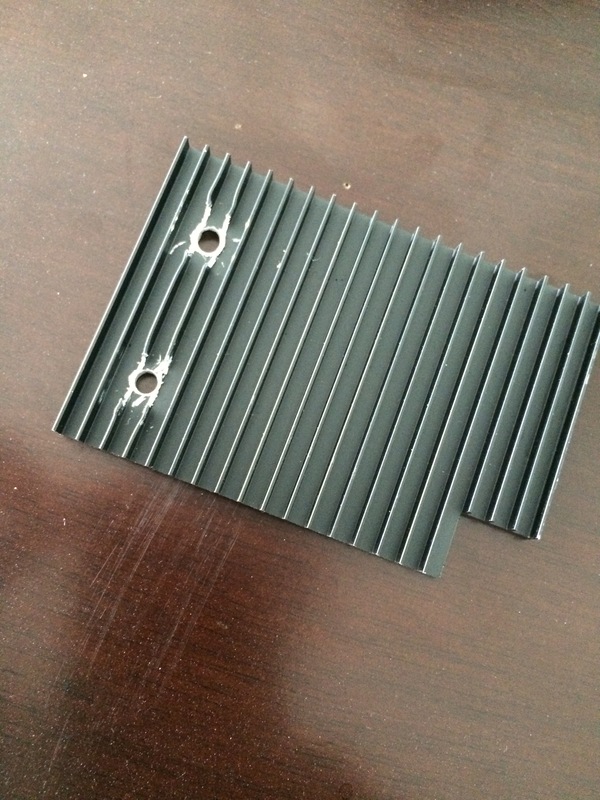 I found few similar Heat sinks and pressed them over the existing tiny heat sinks on the custom Chips. Just to help them ease a bit on the cooling. here is the final result. 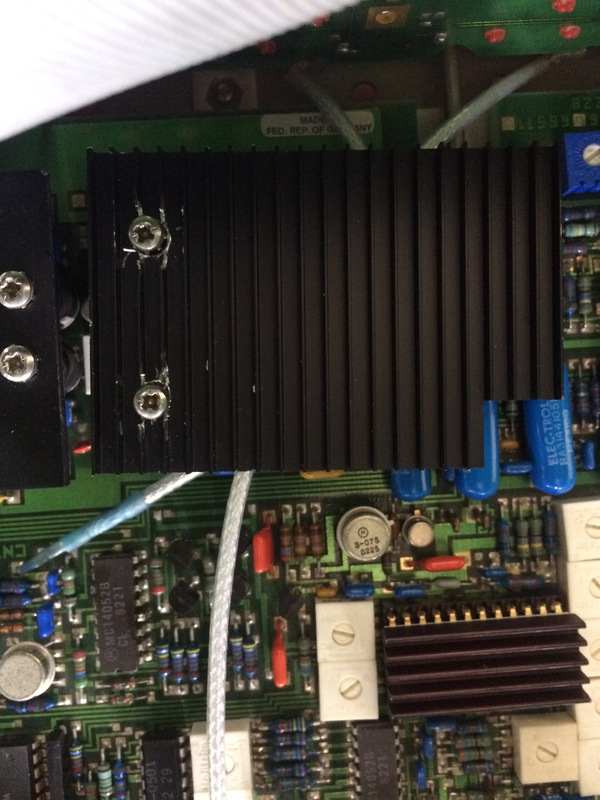 Sorry for the bad picture, but you can see the “Enhanced” Heatsinks. The yellow liquid you see on the bench is vitamin “W”, very helpful while troubleshooting electronics stuff. 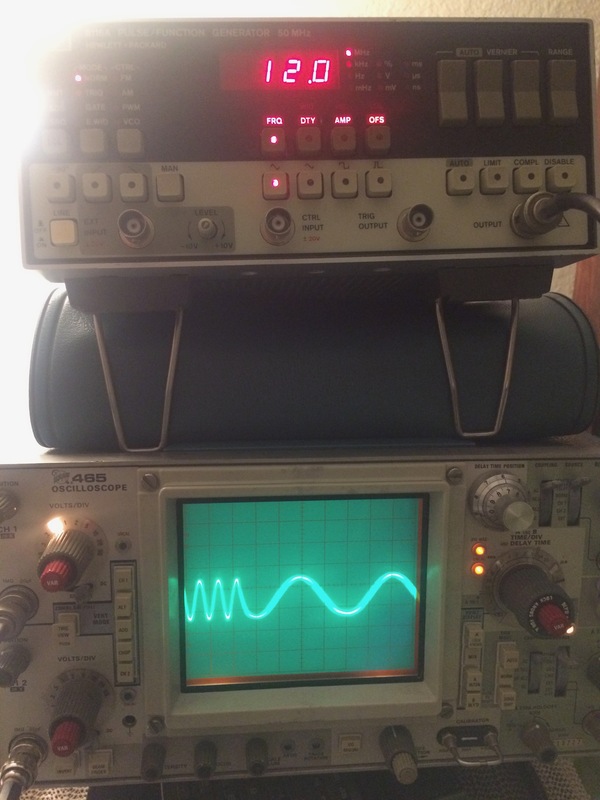 So, all sorted out for the function generator, it goes to its newly formed space in the congested workbench. another one closed. Posted in UncategorizedTagged agilent, electronics repair, function generator, hp error 31, hp8116a, repairBookmark the permalink. Thanks, I had the same issue and barrowed the chip U300 from another non working unit and now one unit works.